During the 1970s-80s, developed countries of North America and Western Europe were suffering economically. This drawback was due to the stiff completion provided by Japan’s ability to produce high quality goods at low price. Hence, the developed countries reassessed their strategies while analysing the techniques that worked for the Japanese. Through this economic mayhem the concept of ‘Total Quality Management” (TQM) emerged. 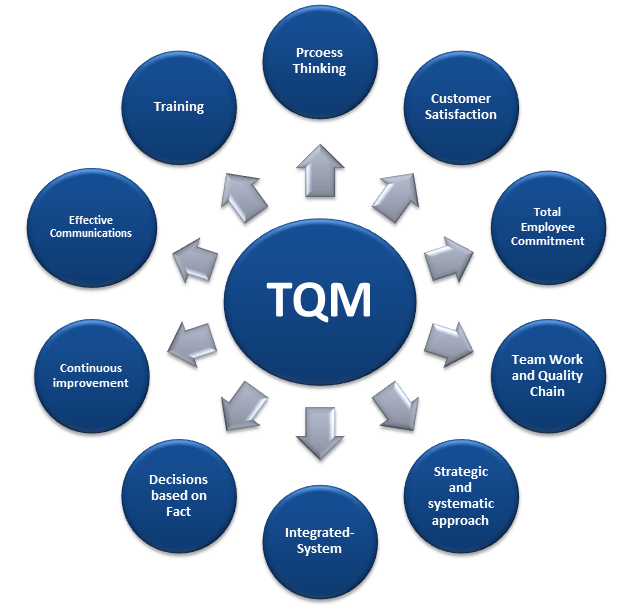 TQM is defined as an approach in management that is designed for continuous improvement along with the ability to deliver high-quality products and services to customers. The TQM approach works across the organisation. It involves all departments, employee, suppliers, clients and customers. These eight primary elements when followed and implemented diligently have promising effects. One of the best examples of TQM is the Ford Motor Company’s slogan of “Quality Is Job 1”. This was used in 1980s, and it supported the implementation of this approach. TQM is an old concept, but it holds relevance in today’s competitive business world. And, for you to have a firm grasp at concept, education is priority. TQM and all the major concepts are dealt in Welingkar’s Distance Education Programme in a way that will make you a better businessman. This entry was posted in We Learn and tagged continuous improvement, North America, Total Quality Management’, TQM, TQM approach, Welingkar’s Distance Education Programme, Western Europe. Bookmark the permalink.